If there is a better story than this that illustrates the symbiotic nature of The Planetary Society's membership and its Advocacy program, I have not heard it. A few weeks ago, a Society member in Massachusetts had a face-to-face encounter with his member of Congress, Jim McGovern (D-MA). 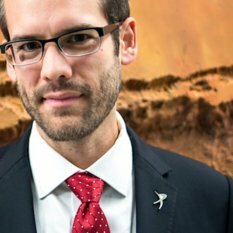 He was able to share a copy of our new report, Mars in Retrograde: A Pathway for Restoring NASA's Mars Exploration Program, and expressed his concerns about the future of NASA's robotic exploration at the Red Planet. And, critically, this member told us about the meeting. Congressional engagement by Society members is one of the most powerful tools that our advocacy team has in its arsenal, but when it comes directly from a constituent to their member of Congress it's even more meaningful. Thanks to our recent investments, the Space Policy & Advocacy program here at The Society now has the capabilities necessary to quickly arrange face-to-face meetings on Capitol Hill. We reached out to Rep. McGovern's office in Washington, D.C. and had a meeting within the week. 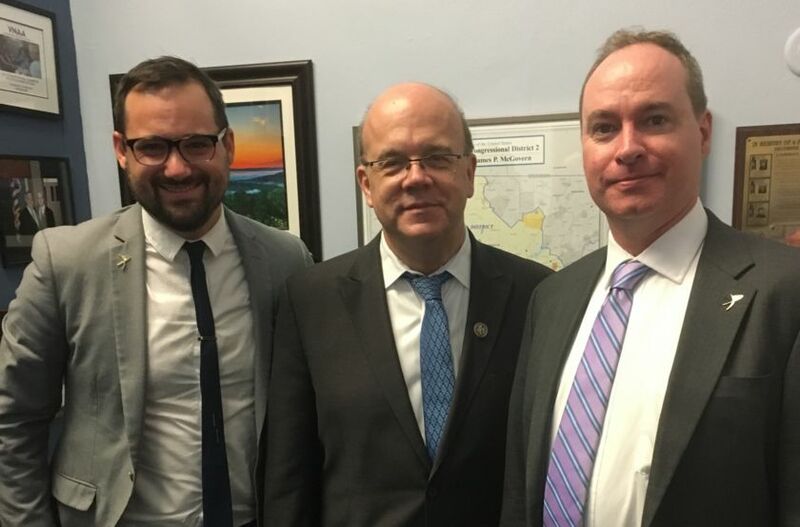 From left to right: Matt Renninger, Senior Government Relations Manager for The Planetary Society; Rep. Jim McGovern (D-MA); Jason Callahan, Space Policy Adviser for The Planetary Society. Because we were following up with a constituent's concern, The Society's D.C. staff met with both the congressional staff and Congressman McGovern himself to discuss space exploration and the Mars program. Thanks to this member, The Society was able to engage an office which hadn't before spent much time on space exploration, and was able to demonstrate local constituent interest in these issues. This story is a perfect example of how The Planetary Society's efforts in advocacy require an active and motivated base of space advocates. We depend on an empowered membership to help us in our efforts to promote space science and exploration and reach out to non-traditional congressional offices with our broad constituency. So thank you to The Society member who stepped up as a true space advocate. For all of our other members: please drop us a line if you meet or communicate with your local representatives in Congress. We will follow up.